Each morning, Chief Earl Old Person’s father greeted him with a Blackfeet phrase. It translated roughly as: Jump up. Try your best. Don’t give up. Now 83 years old, Old Person remembers well that day in June 1964, and the days of rain that preceded it. 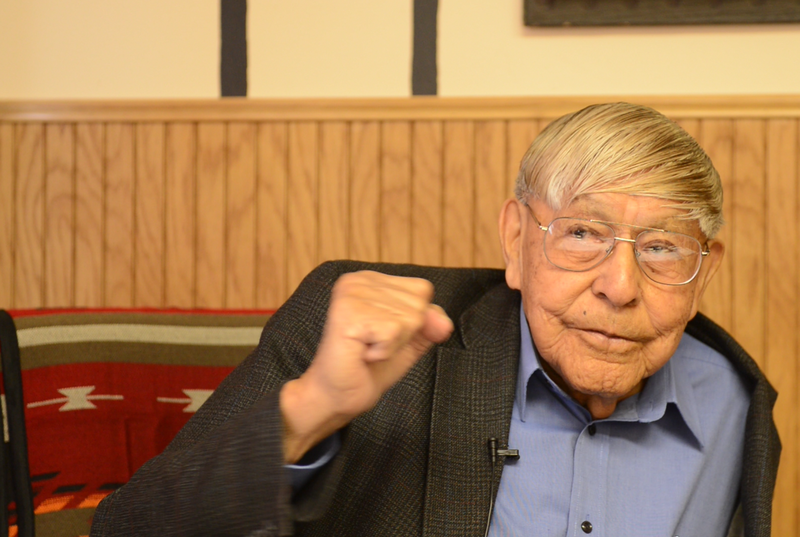 He remembers traveling with tribal elders to Heart Butte on the day before the flood. He remembers the elders warning that the flood would come. But no one could anticipate how devastating it would be. Mostly, though, Old Person chooses to remember how his community responded in the aftermath. It is, he said, an important part of the story for the community to remember. Jump up. Try your best. Don’t give up.